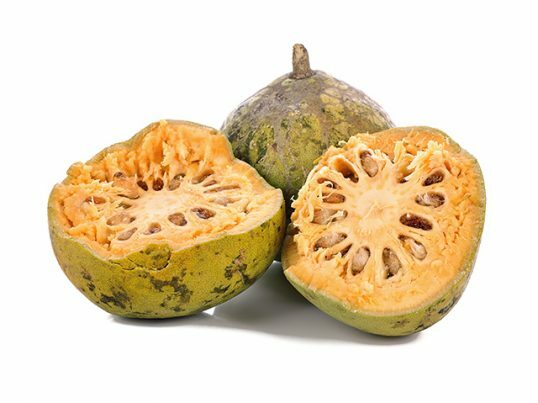 Bael fruits, also known as wood apples, have been cultivated in India for more than 4,000 years. The fruit is an important part of Ayurvedic medicine and has long been valued for its many health benefits. Bael fruits are characterized by their spherical shape and orange pulp when ripe. An article posted on the Health Benefits Times website notes that the fruit’s flavor takes a while to get used to, while its aroma might be off putting for some. Bael fruits are potent superfoods against parasitic worms in the digestive tract. Likewise, bael fruit and leaves are recommended for people suffering from peptic ulcers and piles due to their high tannin content. The fruit’s laxative properties also make them ideal in relieving constipation and subsequent pain and discomfort. The fruit’s antifungal and antiparisitic properties contribute to its efficacy in promoting overall digestive health. However, excessive bael fruit intake may lead to flatulence. Bael fruits are also known for their cardiovascular benefits. Bael leaf extracts are touted to help reduce the body’s cholesterol levels, while the juice of an unripe bael fruit is known to stave off heart diseases. Bael extracts are also used as potent cardiac tonics. The superfood has been traditionally used as a treatment for heart attack and stroke. Aside from this, bael fruits are also notably beneficial to both the liver and kidneys. The beta-carotene in bael fruit helps treat liver diseases, while its thiamine and riboflavin content are known to improve the organ’s health. Similarly, the fruit’s antioxidant properties are touted to effectively cleanse the kidneys. In fact, the fruit is recommended for patients suffering from kidney diseases. In addition, bael fruits contain laxative properties which prompt the pancreas to produce enough insulin, which in turn helps maintain healthy blood sugar levels. The Feronia gum found in bael tree’s bark and branches is known to reduce the severity of diabetes and regulate blood sugar balance, secretion, and flow in the bloodstream. This prevents harmful fluctuations in blood sugar levels. Moreover, the high vitamin C supply in bael fruits are found to reduce the odds of developing scurvy. The superfood’s abundant vitamin C supply also fortifies the body’s immune system and wards off various viral and microbial infections. Likewise, the fruit’s immune-boosting properties and expectorant effects rid the body of phlegm buildup and protect it against a slew of respiratory disorders. In addition, bael fruits are touted to protect the body against the harmful effects of malaria and snake bites. Bael fruits are specifically beneficial to the digestive, cardiovascular, and urinary systems. Likewise, the superfood benefits the immune and respiratory systems. When ripe, bael fruits can be consumed like any other table fruit. It can also be added to various beverages. Likewise, the unripe fruit can be made into chutney, while the leaves can be added to salads. In addition, bael fruits can be added to coolers and ice cream, desserts and even traditional meat dishes. An article on VeryGoodRecipes.com features a list of recipes that involve the bael fruit. Bael fruits relieve digestive issues and eliminate parasitic worms from the digestive system. Bael fruits also prevent diabetes, cardiovascular diseases, and liver and kidney diseases. Bael fruits wards off viral and microbial infections, as well as respiratory conditions. Bael fruits are beneficial to the digestive, cardiovascular, and urinary systems. Bael fruits support the immune and respiratory systems.